Today I woke up to find that it’s April Fool’s Day falls AND Palm Sunday. So…I’m not sure how to take that. The first song I heard on the radio was “Brown Eyed Girl” by Van Morrison, (One of my favorite songs) so I took that as a good sign to post something VERY positive. 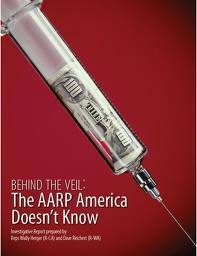 This was a letter that two Americans wrote to the President of AARP. 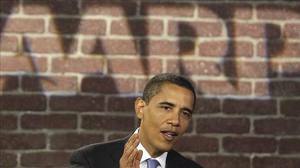 As you know, AARP joined the Obamacare bandwagon when they found out just how much money they would make off all their insurance. It was a sell-out to the millions of old people who they SWORE to protect against the big, bad, politicians. Nobody Says…HA! 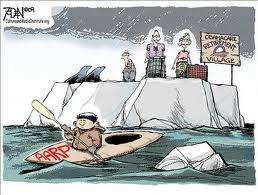 Recently you sent us a letter encouraging us to renew our lapsed membership in AARP by the requested date. This isn’t what you were looking for, but it’s is the most honest response I can give you. Our coverage gap is a microscopic symptom of the real problem, a deepening lack of faith. 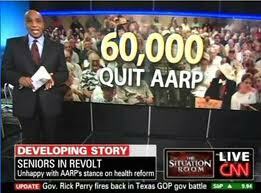 While we have proudly maintained our membership for years and long admired the AARP goals and principles, regrettably, we can no longer endorse its abdication of our values.Your letter stated that we can count on AARP to speak up for our rights, yet the voice we hear is not ours. Your website generously offers us the opportunity to receive all communication in Spanish. ARE YOU KIDDING??? The illegal perpetrators have broken into our ‘house’, invaded our home without invitation or consent. The President insists we keep these illegal perpetrators in comfort and learn the perpetrator’s language so we can communicate our reluctant welcome to them. I DON’T choose to welcome them, to support them, to educate them, to medicate them, or to pay for their food or clothing. American home invaders get arrested. Please explain to me why foreign lawbreakers can enjoy privileges on American soil that Americans do not get? Why do some immigrants have to play the game to be welcomed and others only have to break and enter to be welcomed? As Margret Thatcher (former Prime Minister of Great Britain) once said “Socialism is GREAT – UNTIL you run out of other people’s money”. We have decided to forward this to everyone on our mailing list, and will encourage them to do the same. With several hundred in my address book, I have every faith that the eventual exponential factor will make a credible statement to you. I am disappointed as all getout! I am more scared than I have ever been in my entire life! I am ANGRY! I am MAD as hell, and I’m NOT gonna take it anymore! Whilst Walt was busy travelling the highways with the horses, Cyndy was taking speech lessons from Dan Hannan. Fine gal she is.